The title of this post is inspired from a 1990 movie Ek Doctor Ki Maut (Death of A Doctor). The story of this movie was based on the life of Dr. Subhash Mukhopadhyay an Indian physician from Kolkata, India, who created the world's second and India's first child using in-vitro fertilization, Durga who was born 67 days after the first IVF baby in United Kingdom. Unfortunately, Dr. Subhash Mukhopadhyay was harassed by the state government, and not allowed to share his achievements with the international scientific community. Dejected, he committed suicide on 19 June 1981. There is another incident in similar line of Rohith Vemula a PhD scholar in Hyderabad Central University who was suspended in August last year along with five other research scholars for allegedly attacking member of Akhil Bhartiya Vidhyarthi Parishad (ABVP) a student wing of Bhartiya Janata Party(BJP) without proper investigation of the issue. The Vice Chancellor of the university also stopped his fellowship amounting Rs 1.75 lakhs in these seven months and ordered them to vacate their hostel rooms. 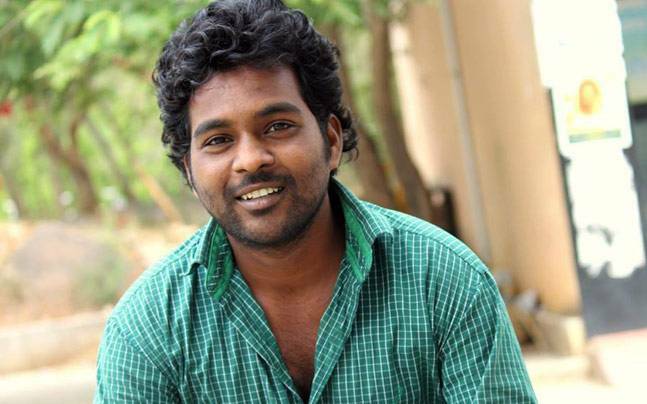 Dejected and depressed Rohith Vemula committed suicide on 18th January 2016. In both cases some responsible people behaved irresponsibly taking away their precious life. I haven't used the word 'Dalit' for him as used by the media because for me suicide by any student is equally shameful. That doesn't mean that there is no ill-treatment with dalits in that university. This was the 10th suicide by a dalit student in last 9 years. Rohith was punished for protesting with Ambedkar Students Association (ASA) against ABVP's attack on screening of a documentary Muzaffarnagar Baaqi Hai. He was framed with four others for attacking ABVP student leader and without proper inquiry these five students were suspended, their hostel rooms were sealed and no one from the university authorities heard their grievances. Rohith in his last letter held no one responsible for his suicide but for me the vice chancellor who have not listened to them, the BJP MP (Bandaru Dattatreya) who labeled these students as anti national and who wrote letter for action against them after ABVP students met him, HRD ministry who keep on writing letter to the chancellor but never took action against his no reply to those letter, we the people of India who remain quite when constitutional right to protest was suppressed illegally by authorities. Such incidents are shattering the ideals of equality and justice on which our constitution is based. Our republic day is coming we must strengthen our vows towards our constitution. The present government in inducing their ideology in the educational system of this country made universities and educational institutions the playing ground of their political motives. They have forgotten that its our unity which have brought us so far in our journey as a nation. I stand in solidarity with Rohith Vemula and hope for some actions for prevention of such incidents in the future. The voice of dissent must not be curbed but listened as feedback for improvement. It's a tragedy when extremists groups such as ABVP are treated like God and when innocent students pay the price. It's revolting! The saddest part is that its not being seen as the death of a brilliant student, but as a suicide of a Dalit. Not only that but it was also twisted as a political issue by promising 8 Lakh rupees to his family. He came so far because of merit not through a kota for casts. Every time such things happen, I'm reminded how low India's political level has stooped. Today, India does not need world's tallest statue (Sardar Vallabh Bhae Patel) or a new Parliament building; India needs a new and matured thinking. India needs more brilliant students like Rohit.